In international trade, the vendors biggest challenge is to make an indisputable quality of the goods shipped are in conformity with the specifications stated on the vendor agreement and it would apply for the clients as well. With the supply chain network ranging across borders, the risks encountered by manufacturers and importers too increases with a stringent laws in the destination countries. To abridge things, abide with the mandatory regulations in place of the destination countries and to ensure that the quality and quantity of goods shipped meets the end user’s specifications and reliability, especially in the case of overseas vendors. Therefore, it has become a systematic approach for almost every institution around the globe to engage a Third Party Inspection agency to inspect shipment details, in accordance with the standards stated in the vendor’s agreement along with specifications and also evaluate Pre-Shipment damages if any to avoid returns and time loss in arbitration. There are lots of benefits to a PSI (Pre-Shipment Inspection), However, most of the people agree that guaranteeing the value of goods produced overseas, at the place where they were manufactured as well. 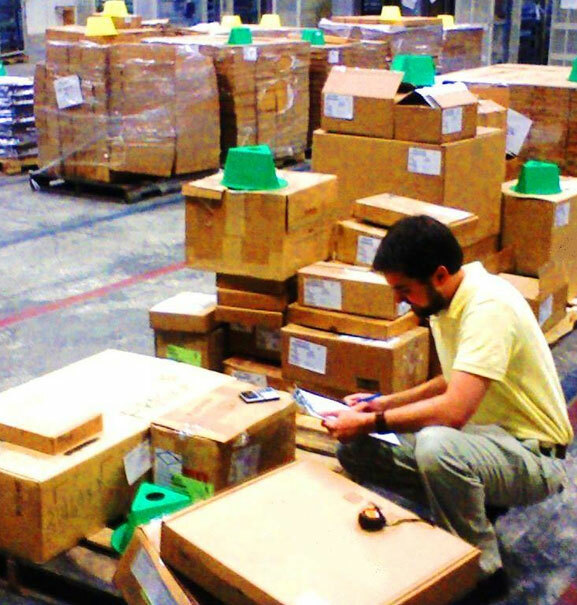 Pre-shipment inspection (PSI) is a proven methodology adapted across the globe to ensure the delivery of quality materials meeting vendor’s stipulations and other documentation to expedite an appropriate identification prior shipment to help organizations around the globe to safeguard their import revenues, facilitate trade and minimize the risk of illegitimate imports. This service carried out for governments combines a proper authorization of the buyer's stipulations, quantity and the value controls of imports and exports. Pre-Shipment Inspections is often the most effective Third Party Inspection that adhere to mandatory/regulatory norms, which normally involves the production to be 100% complete and at least 80% of goods to be packed into cartons. In this Third Party Inspection process random units are selected from all batches of the order and are inspected to validate (as per QAP) whether the goods dispatched are in conformity with importer’s requirements. Third Party Inspections will be an add advantage for manufacturers to confirm the quality of their goods and safeguard importers from the risks of international trade. At TRAIBCERT, we value that each product is diverse by its nature and has developed a possibility of wide range of defects that can occur. Keeping this into consideration, we shape our Third Party Inspection method based on each product’s style, function, specifications and other significant information to implement it in compliance with WTO (World Trade Organization) necessities on behalf of customs authorities.